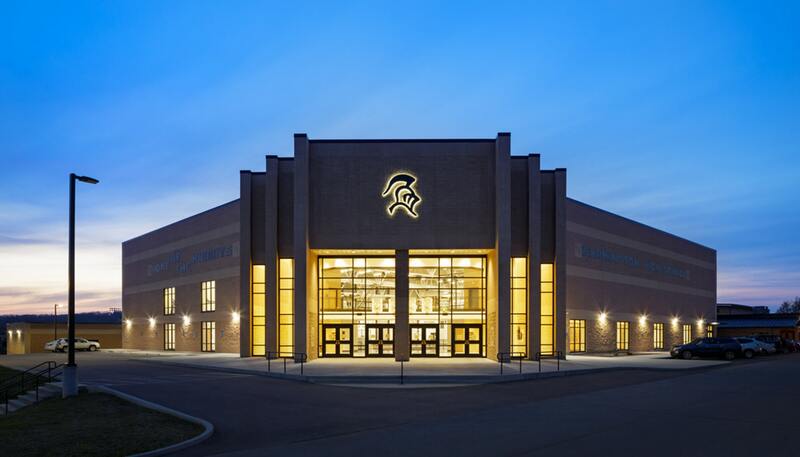 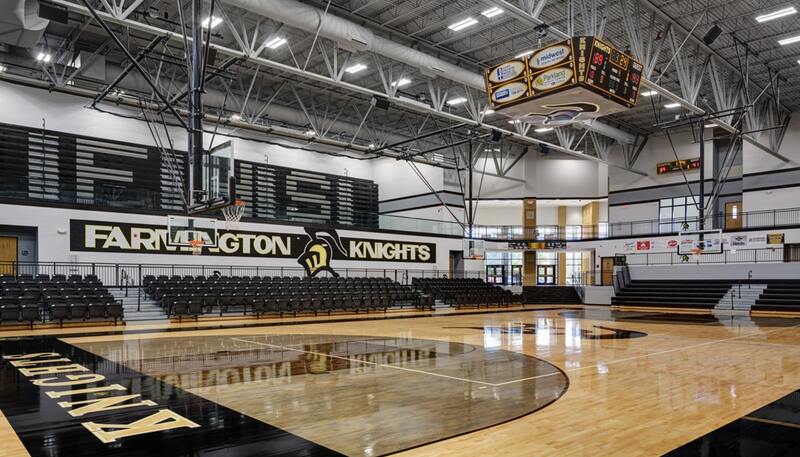 The new Farmington High School Gymnasium addition provides a court area sized to accommodate varsity basketball, volleyball, and wrestling matches as well as tournament play. 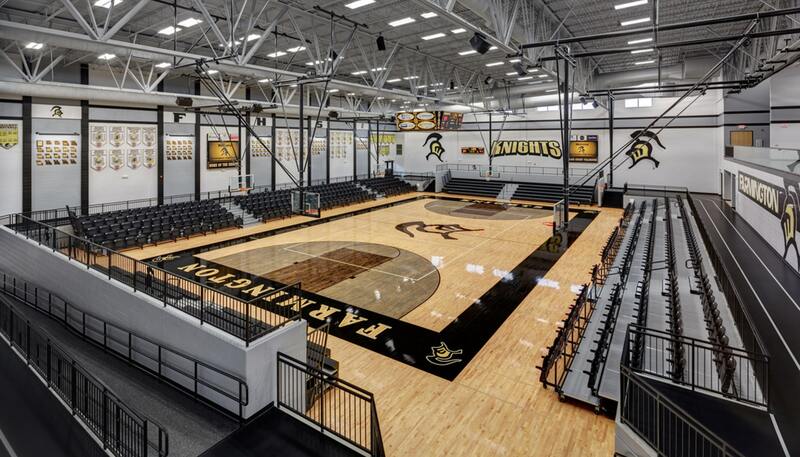 Support spaces include mezzanine seating, with varsity locker rooms below, a perimeter interior walking track, fitness room, hospitality room, concessions and restrooms as well as a new main entry lobby are provided. 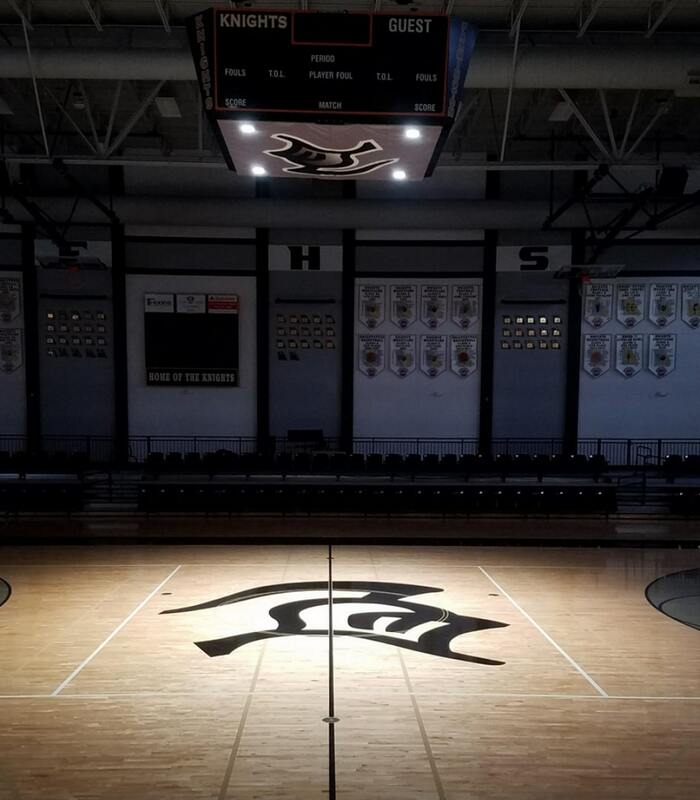 550 stadium style seats are provided around the lowered court level plus 950 bleacher seats are provided around the bowl and mezzanine areas. 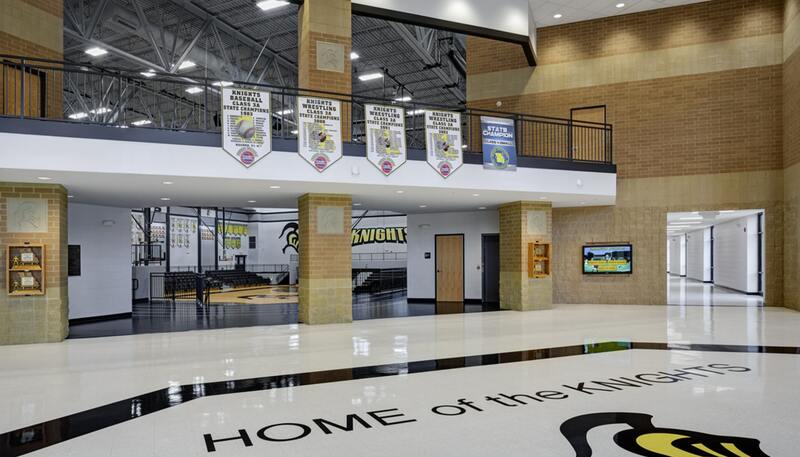 The project also includes a separate Music Wing Addition housing new band and choir rooms, related supports spaces, and student restrooms and ADA accessibility improvements to address previously inaccessible portion of the existing High School campus facility.